I listened to YeLLoew Jam’s first album, again, and I felt calm and soothing. This is because each song has its own emotions that sips through the listeners’ mood in heart, mind, and soul. You can check out the review about this album. I had the opportunity to speak with Hee Chul, the man behind playing the saxaphone and producing jazz music. In the interview, he talks about his passion for jazz, the first album, and future plans. How did you start playing the saxophone? I had severe vertebrae problem at teenager. By chance, I knew a music therapy which was saxophone’s wave therapy. After that, I have studied and played saxophone. Of course, now, my health is very good. Why you wanted to play jazz music? Jazz has unlimited areas and many possibilities in combining with any music genre together. My music genre is not only easy listening jazz but also indie folk, classic, pop, and rock. The group name YeLLowe Jam sounds interesting. What is the meaning behind it? How was the group formed? YellOweJam means Yell owing to jam. It’s we play jam on stage, we sing, and share our feelings with a lot of friends. We were formed in 2008 after I saw YellOweJam’s vocal, Yedda, who sang on a stage. I thought I could compose some healing music with her beautiful low tone voice. What are your inspirations and the kind of activities you do when writing and producing your songs? Sometimes, I watch a movie, listen to music, and go somewhere. But most of the inspiration that I get is through SNS. I can’t go and meet people every time at any place and event. But, with SNS, I can do so in meeting the people. 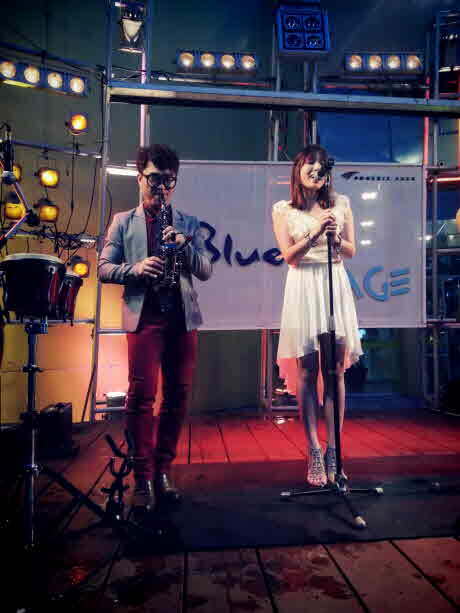 How is the jazz music scene in Korea? Do you see the possibilities of having its growing awareness in Korea? 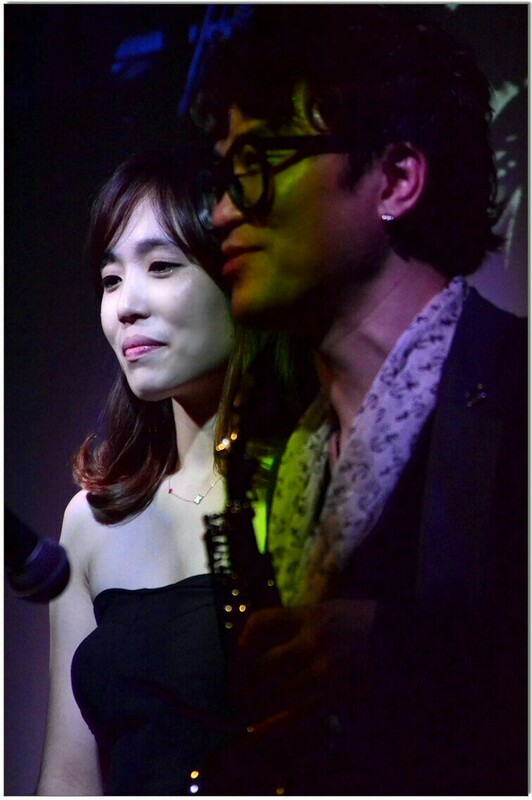 We keep going in performing jazz music especially performing at the Jarasum Jazz Festival, which is beloved by Korean people, every year. I think we need more segmentation in jazz music genre such as indie jazz ,folk jazz, rock jazz, new aged jazz, and others. Could you talk about your recent 1st album? How was the experience like in producing this album? Which is the song that you put a lot of effort in? YellOweJam’s 1st album’s theme is nature such as wind, sun, snow, sky, butterfly, flower, and island. At the cover design of the album, there is little square on the cracked wall. Inside the square, you can see sun, sea. mountain, wind, and other elements of nature. Yedda also take part in producing the album so both of us could check what can be done in production. I think the most important thing in producing is communicating about what kind of music and how we can hear them. I put a lot of effort my all song. When we produce the album, we don’t say “Oh…we finish the song. Let’s do the next one”. Until the last day of finishing the album, we can think that “Ok. We stop this…And do again”. I do quite often. From the album, what kind of songs would you recommend to the listeners including those who are first-timers? I love One Two Three, Christmas Snowing, The Red Sky, and The Only One I Knew. If you have the opportunity to work together with any jazz musicians, who would it be and why? I like Lars Danielsson who is an international contrabass player. He plays every single one of his music with his own emotions and deep understanding of people. What are your future plans in 2014? I am currently making the 2nd album. I also hope to have some good concerts in other countries. Thank you to Hee Chul for giving me the opportunity to speak with him about his music and jazz. I hope that he would perform in other countries and share his love for jazz to international listeners. Like their Facebook and follow them on Twitter. Their have their own YouTube where you can listen most of the tracks from the 1st album. Listen to their music tracks at Soundcloud. You can purchase the album via iTunes.